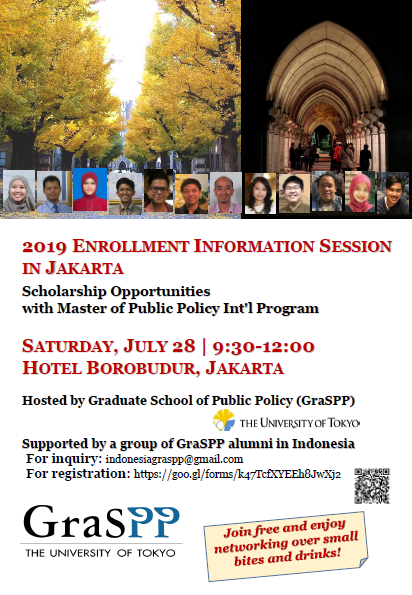 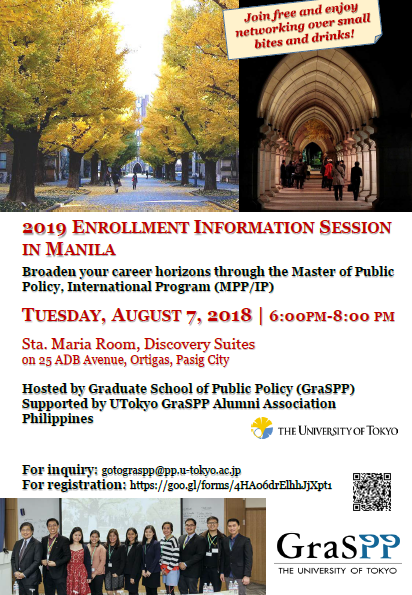 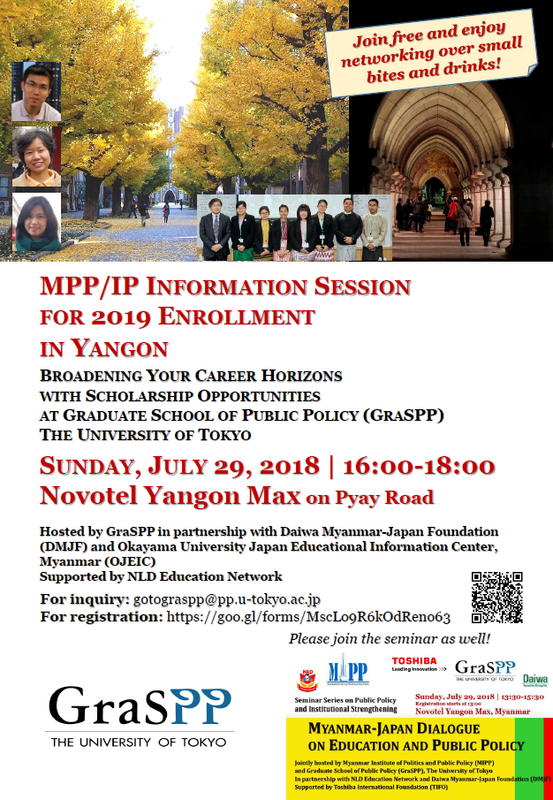 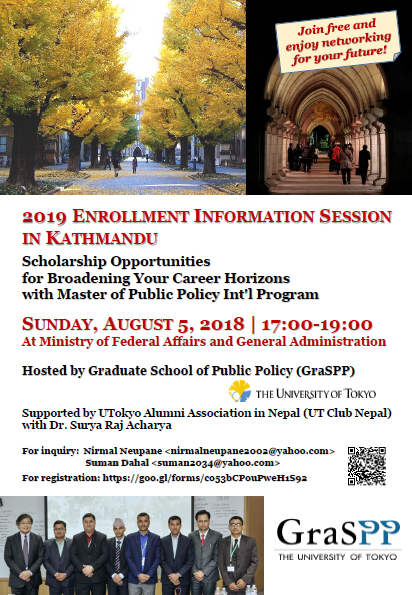 Graduate School of Public Policy (GraSPP) launches the 2019 Enrollment Information Sessions on Master of Public Policy International Program (MPP/IP) in several Asian cities. 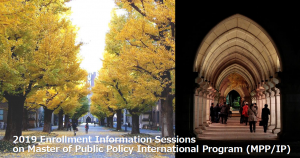 Our alumni, faculty members and program coordinators will attend a number of events. 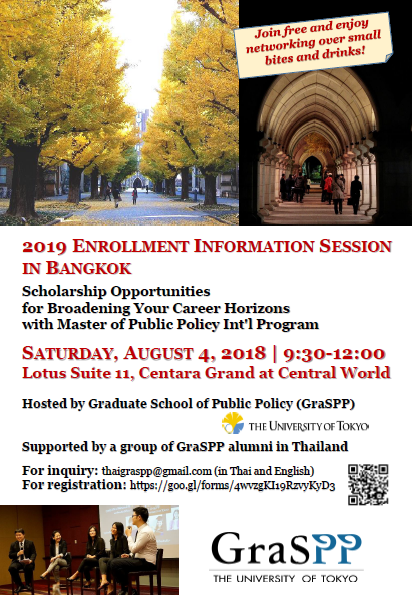 If you are thinking of applying to GraSPP, we would like to talk to you face-to-face in one of the events.